Kvist, A. P., H. S. Nielsen and M. Simonsen (2013): The Importance of Children's ADHD for Parents' Relationship Dissolution and Labor Supply. Social Science and Medicine 83, 30-38. Marianne Simonsen (2010): Price of High Quality Day Care and Female Employment. Scandinavian Journal of Economics 112, 570-594. Nabanita Datta Gupta and Marianne Simonsen (2010): Non-Cognitive Child Outcomes and Universal High Quality Child Care. Journal of Public Economics 94, 30-42. Azeem M. Shaikh, Marianne Simonsen, Edward J. Vytlacil, and Nese Yildiz (2009): A Specification Test for the Propensity Score using its Distribution Conditional on Participation. Journal of Econometrics 151, 33-46. Marianne Simonsen and Lars Skipper (2006): The Costs of Motherhood: An Analysis Using Matching Estimators. Journal of Applied Econometrics, vol. 21(7), pp. 919-934. Helena Skyt Nielsen, Marianne Simonsen, and Mette Verner (2004): Does the Gap in Family Friendly Policies Drive the Family Gap? Scandinavian Journal of Economics, vol. 106(4), pp. 721-744. 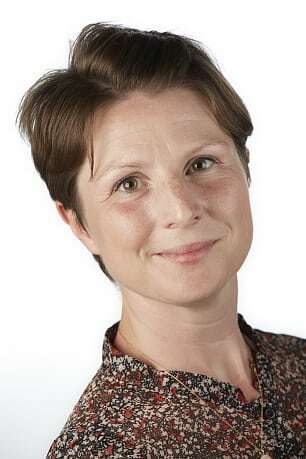 Member of national advisory board for register-based research (Det Koordinerende Organ for Registerforskning; KOR). Member of the Ministry of Education's Committee on Re-organization and Strengthening of Danish Register-based Research.